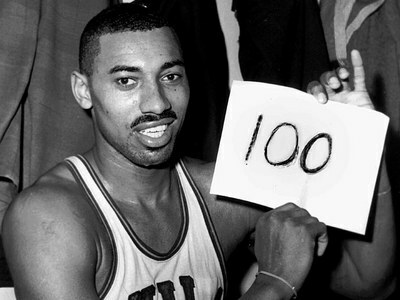 This week marks the 50th anniversary of Wilt Chamberlain’s 100-point game against the Knicks. Not bad for someone who literally stood head and shoulders taller than the competition. By the end of the game, Chamberlain’s Philadelphia Warrior teammates were fouling the Knicks to get the ball back in the hands of the Dipper. A little cheap, but it still doesn’t diminish the magnitude of the accomplishment. However, only 4,124 fans were in attendance at the neutral site for one of the greatest nights in basketball history. That brings us to our Question of the Week. Get it right and Wilt’s corpse will make you 20,001. The answer, as always, is after the jump. Answer: Hershey, Pennsylvania. The Hershey Sports Arena is still used as a home arena for various college hockey teams.